Several people have asked me recently what it’s like being a pastor’s wife. They have looked at me expectantly, obviously wanting the answer that matched their ideal picture of ministry. My answer: Do you want the short or the long version? The short answer is that being a pastor’s wife is difficult and demanding, but tremendously rewarding. The long answer entails much more because ministry is a lifestyle; nothing in my life goes untouched by my husband’s calling. When hearing the term pastor’s wife, even I, being a pastor’s wife myself, conjure a specific image in my mind. I think of Mrs. Fenton, the pastor’s wife at the church I attended as a teenager. I always sat with the rest of the youth group in the first rows of the sanctuary, which gave me a perfect view of her. Every Sunday, Mrs. Fenton sat to the left of us near the aisle where her pastor-husband retrieved her during the closing hymn, escorting her to the back doors so they could greet the congregation as they left. Each week, instead of singing, I watched how he approached her seat, how he smiled as she took his offered hand, and how, like a God-fearing Ken and Barbie, they walked down the aisle together. To me, it seemed that every eye watched and admired them. After the service, as I exited with my family, I anticipated their handshakes with nervous excitement, wondering if they would remember my name or give me special attention. Being spiritual giants, it seemed that they saw straight into my soul. I counted it a great privilege to be friends with the Fentons’ daughter, which gave me access to a wonderful family and home. I was acutely aware of the pastor’s wife anytime she entered a room, taking note of her words, her décor, her clothes, and how she related to her husband and children. She never failed to be warm, loving, inviting, or hospitable, just like she was at church when she greeted everyone by name while happily moving from group to group. In my esteem, she and her family were perfect. When Kyle and I began in ministry, I wanted to be like Mrs. Fenton. I desired the status, the admiration, and the influence. I was confident I would have the marriage and family that others would look to as a perfect model. So when I suddenly had the label “minister’s wife” plastered on me, my fervency grew palpable. I quickly realized that, in all my careful observance of Mrs. Fenton, I had no recollection of what she actually did beyond being a decoration on her husband’s arm, a greeter, or a picture of perfection always seen but rarely heard. I hadn’t considered Mrs. Fenton to be a real person with imperfections, struggles, or weaknesses. I also hadn’t measured how hard she worked as she gave her life to serving her husband, children, and church members. Even though I had been in her home countless times, I didn’t know what happened beyond “the role” in the intimate moments of her life. Perhaps you’ve carefully observed your pastor’s wife, but secretly wondered what her life is really like. Well, over the next few posts, I’m gong to tell you. Why? Because pastor’s wives want you to know and understand them, but they rarely have the opportunity to share what their lives are like. So, here’s your chance. What have you always wanted to know about what it’s like being a pastor’s wife? If you're a pastor's wife, what do you want people to know? If you'd prefer to email me instead of leaving a comment, go for it. P.S. 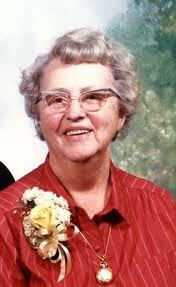 The picture above is not Mrs. Fenton...just some random picture that came up in Google Images under "pastor's wife".